Doing some spring cleaning? 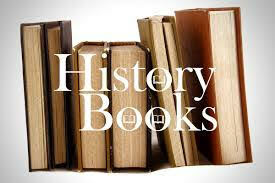 Read some great history books this year that you'd love to share with others? This month's history group will allow you to do just that. Join us for our third annual History Book Swap. For this informal gathering, please bring a history book (up to five) that you are ready to loan or discard. Be prepared to tell the group about one of the books (just a minute or two), and then at the end of the gathering each person can choose a book to keep. We will bring the remaining books to More Than Words in Waltham. Start culling your books now -it's finally spring! Register by calling (617) 795-2560. Or email programcoord@newtonathome.org Let us know if you need a ride.